Almost 157,000 inmates in the Texas prison system were counted by the U.S. Census Bureau as living where they're incarcerated and not as residents of their home counties — a policy that some opponents argue has dire political and economic consequences. Texas has the same policy — which some lawmakers are intent on changing because they argue it unfairly inflates the population of some legislative districts and deflates others, skewing the landscape of political representation. “If the purpose of redistricting is to apportion people adequately, to where they have the correct representation … I don’t think we can do anything but count inmates from where they came from,” says state Rep. Harold Dutton, D-Houston. Dutton first filed legislation to change the policy in 2001, he says, after realizing Harris County was about 20,000 people short of gaining a new congressional seat for Texas. At the same time, thousands of Harris County residents resided elsewhere in the state prison system — and were being counted as residents of counties where they were behind bars. In most cases, the practice increases population counts of rural counties, where most state prisons are located, at the expense of cities, where most crimes are prosecuted. Dutton’s bill failed in the Texas House that year, and two similar bills filed in 2009, one by Dutton and another, ironically, by Hodge, failed to make it out of committee. Dutton plans to try again in 2011, however, after he receives up-to-date data on where incarcerated Texans resided before being sentenced. In the state prison system alone, almost 157,000 inmates were included in the U.S. Census Bureau’s count for Texas, according to Texas Department of Criminal Justice Public Information Director Jason Clark. That total alone is larger than the size of Dutton’s House district. While most states follow the same policy as Texas, three exceptions — Maryland, Delaware and New York — recently enacted legislation that instead will count inmates at their most recent residences, according to the House Research Organization report published last month. The report explains two possible approaches to dealing with the issue: count inmates where they lived before incarceration, or don't count them at all. “When districts have equal numbers of people, each person’s vote counts the same as that of a person in a neighboring district,” writes Tom Howe, the author of the House Research Organization report. But the current policy in Texas and the other states dilutes the voting power of districts that lose prisoners to other communities. “For example, a district with 100 people, 10 of whom are non-voting inmates, has only 90 people who can vote, and thus influence their representative. These 90 people have the same voting power as 100 people in a district with no inmates,” Howe writes. In addition, urban inmates counted as rural residents decrease the number of people required to make a district. “These 'phantom' rural residents have significant effects on district composition in Texas,” Howe writes. So much so, he adds, that in two current House districts, inmates compose 12 percent of the population. They include HD-8, which includes Anderson, Freestone, Limestone and Navarro counties, and HD-13, which includes Austin, Grimes, Walker and Washington counties, according to a nonprofit think tank called the Prison Policy Initiative. Howe writes that opponents of changes to the current system counter that inmates should be counted in the districts where they are using resources. Further, he says, they argue that determining where inmates once lived would be "administratively burdensome." Since the 2000 census, 23 Texas counties have either built facilities that can house more than 500 inmates or detainees or expanded current facilities to include at least 500 inmates more than their previous capacities, cites the Prison Policy Initiative. Prison expansion has long been inflating population numbers, says the initiative's executive director, Peter Wagner, who noted recently that 56 counties the U.S. Census Bureau listed as growing in the year 2000 would have actually declined in population without their prison expansions. “Said another way, for each 50 counties labeled by the census as growing during the 1990s, one of those counties actually saw a decline in their actual free population,” he says. 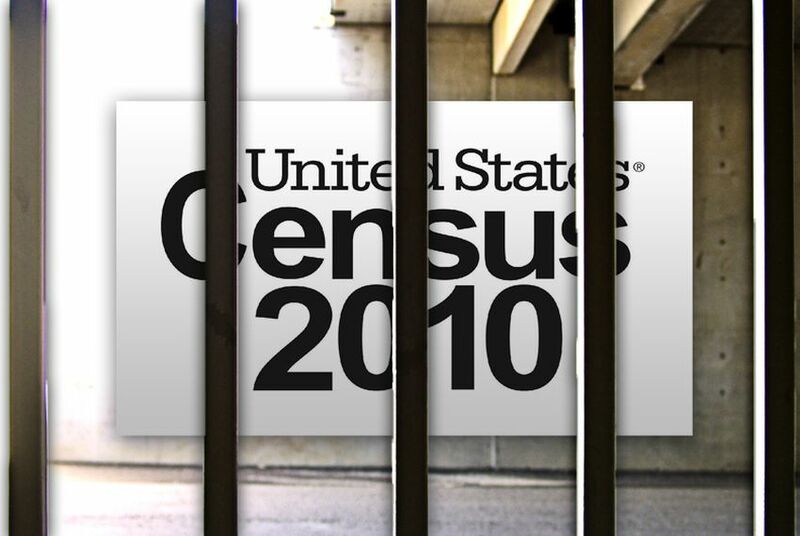 Wagner estimated that the Census incorrectly counted 2 million people in the U.S. this year because of the current policy. The policy’s effect on political representation, Wagner says, is more troubling than its effect on distribution of federal funds. “One of the things [the Census Bureau] does to encourage participation is tell you about how $1,400 a head is distributed from the federal government each year, in part, based on census data. The 'in part' is a key bit of wiggle room,” he says. Population, he says, plays a smaller role in the doling out of federal monies for highway funds and social services.